Marcy had an uncle that use to always judge restaurants and eateries by their desserts. He used to say if the place has great desserts, then it almost always has great food. He was a man after my own heart, rest his soul, because I also look at dessert menus before I would look at the food menu. Sacramento, CA. They do have a second location downtown as well. I believe the downtown store is the original location It is first known as a bakery but it also a great place for lunch as it has some wonderful sandwiches, soups, salads and quiche. The first time I went there I just ordered a simple chocolate chip cookie. If you can sell me on a simple chocolate chip cookie then we can talk! We’ll… I was sold! I went back a few weeks later and got their Smoked Salmon Sandwich. It normally comes on a Pretzel brioche but I got it on a croissant roll. It also had crème fraiche dill, capers, and onions on it. It was amazing! 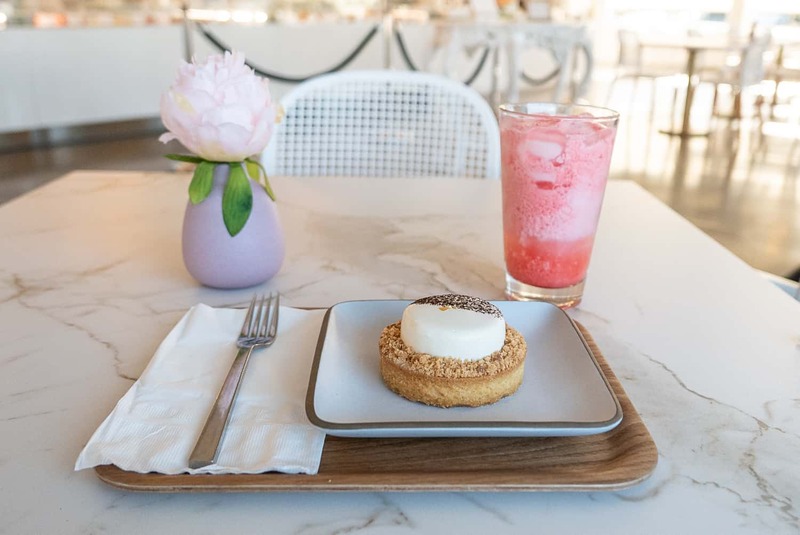 A few days ago I went back just for dessert and got a lemon tart and Italian strawberry soda. The tart had an almond crust with just the right amount of crunch. It wasn’t too sweet and just what you would expect from a bakery of this caliber. I could probably eat here everyday but I know that wouldn’t be good for me. However every month or two I like to go back just try something new. It’s a wonderful place with great desserts and great food. I’m sure this would be a place our Uncle Dan would have loved to go to.